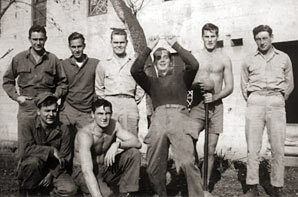 Alamo Scouts Arnold R. Bethell (back row, far left), Norman S. Boschert (back row, second from the left), Michael S. Zwer (standing with arms up), Carl A. Bertoch (standing without shirt), Bob Ross (kneeling without shirt), and Frank G. McGraw (standing far right) pose with unidentified trops in front of a Japanese Army barracks in Kyoto, Japan in October 1945. Several Alamo Scouts went to Japan after the surrender and were attached to the 6th Ranger Battalion for rations and quarters. The last Scout went home in early December 1945. Note: We need your help identifying the unknown soldiers in the photo. 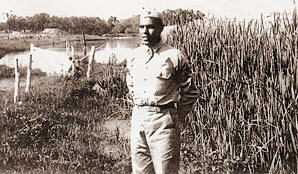 Sergeant Alvin Vilcan, a member of the Chitiamacha Tribe of Louisiana, and a graduate of the first Alamo Scouts Training Class, prior to joining the Scouts. 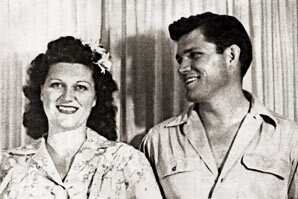 Circa 1942. 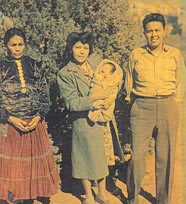 Alamo Scout Byron L. Tsingine with his wife, son, and mother following the war. Tsingine hailed from the 158th Infantry Bushmasters and was a member of the Navajo Tribe. 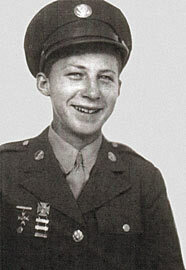 Captain Sidney S. Tison Jr., a graduate of the 7th Alamo Scouts Training Class and later an instructor at the ASTC (then a 1LT), graduated from the Citadel in 1943 with fellow Scout Henry S. Baker. Later that year Tison landed on occupied Luzon by submarine, where he led Filipino guerrillas in operations against the Japanese. 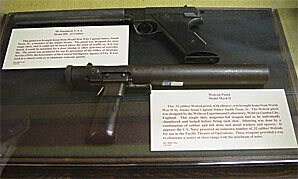 "Spy" pistols brought home by Sidney Tison. Although the weapons were tested extensively at the ASTC, they were deemed impractical for Alamo Scout jungle and beach operations. 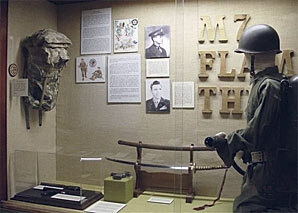 Alamo Scouts display in the National Infantry Museum at Fort Benning, Georgia. Alamo Scout Richard Andrews following graduation from basic training. Fort Riley, Kansas. 1943. 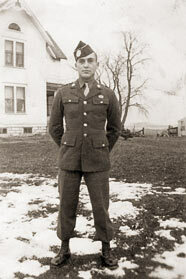 Alamo Scout SGT Richard Andrews at Fort Riley, Kansas, prior to deploying for the Southwest Pacific. Andrews spent 24 months stateside in various cavalry and motorcylce scout units before participating in five campaigns overseas. Summer 1944. 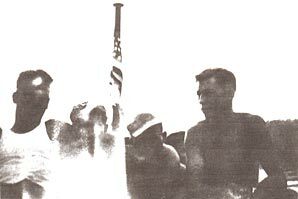 Alamo Scout Richard Andrews (right) returns from Subic Bay to the ASTC on Luzon. Scout Gean Reynolds (far left) and two unidentified Scouts accompany him. Andrews was retained as an operational Scout on SHIRKEY TEAM and performed three missions before the war ended. 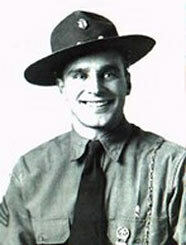 He then traveled to Japan with the Alamo Scouts for brief occupation duty. Summer 1945. 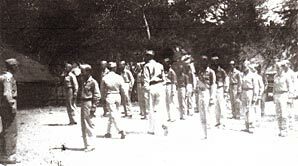 Graduation of the 7th Class of Alamo Scouts from the ASTC near Subic Bay, Luzon, 1 June 1945. Three teams of Alamo Scouts were formed from the class. 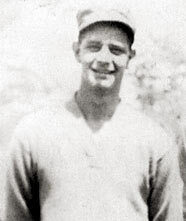 A photo of Alamo Scout Gilbert J. Cox, NELLIST Team, taken at war's end. As indicated by the shoulder sleeve insignia (SSI), Cox served with the 11th Airborne Division before joining the Alamo Scouts. 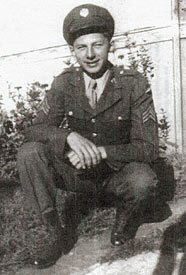 Cox participated in two POW camp liberations during the war. 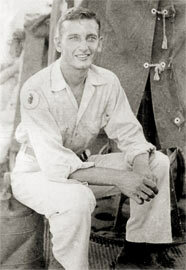 Robert W. Teeples graduated from the first Alamo Scouts training class on Fergusson Island, New Guinea, in February 1944, and served on BARNES Team, where he participated in the second operational mission performed by the unit. 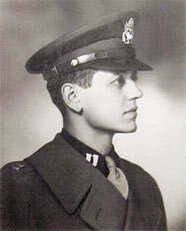 SGT Harold N. Hard. 1945. 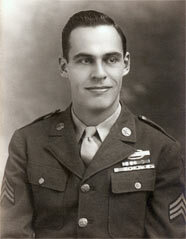 SGT Wyman Olson, Mess Sgt. June 1, 1945. 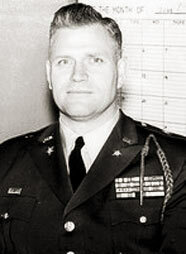 Colonel John M. Dove. 1970. 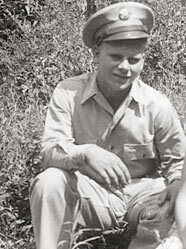 Galen Kittlson following graduation from jump school at Fort Benning, Georgia. 1944. 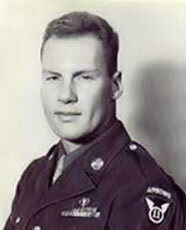 Kittleson recorded 800 parachute jumps during his military career. 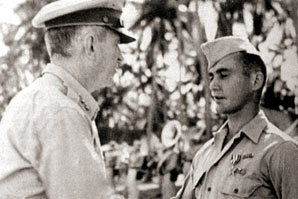 GEN Walter Krueger congratulates Alamo Scout Galen Kittleson after awarding him the Silver Star following the successful liberation of Cabanatuan POW camp. This was the second of four POW liberations conducted by Kittleson between 1944 and 1970. Feb 1945.